Oh trust in Me, My child. Or something that is bad. My grace for you abounds. But My promises will stand. To do for you, My child. Are not too hard for Me! The path that’s best for you. As I have promised, child. Whether your prayer is for the salvation of a loved one, or for a future spouse, a broken marriage, a healing, deliverance from fear, depression, chronic pain, a need for a job, a home, strength to meet our challenges, protection from harm, the list of needs is endless…but we serve a mighty God who is able to meet ALL OF OUR NEEDS! God hears and answers ALL of our prayers. Jesus promised this and He never lied. St. Peter wrote that there was no deceit in His mouth. But we must understand that God always gives according to His will. 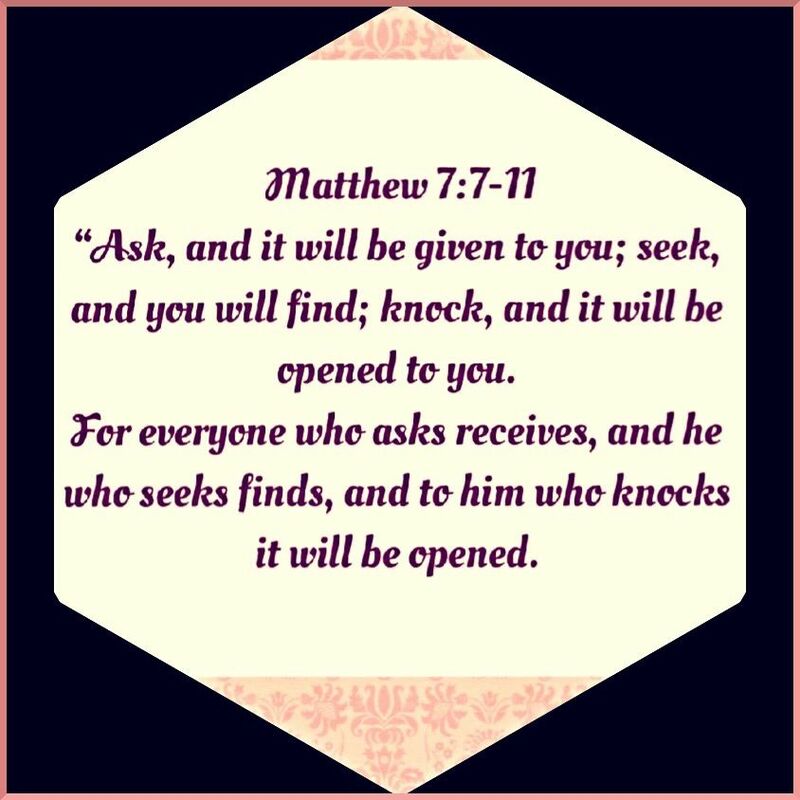 As Jesus directed, we must keep on asking, keep on knocking, keep on seeking. We must never stop praying. Heavenly Father, holy is Thy name, Thy kingdom come, Thy will be done, on earth as it is in heaven, in my life and in every life who is even now praying this prayer. May You answer every need and assure every heart that You will give them what they are hoping for at the right time. May You assure their hearts that You are working everything out in their lives into a beautiful masterpiece that will sing Your glory and praise someday, In Jesus’ name. Amen. 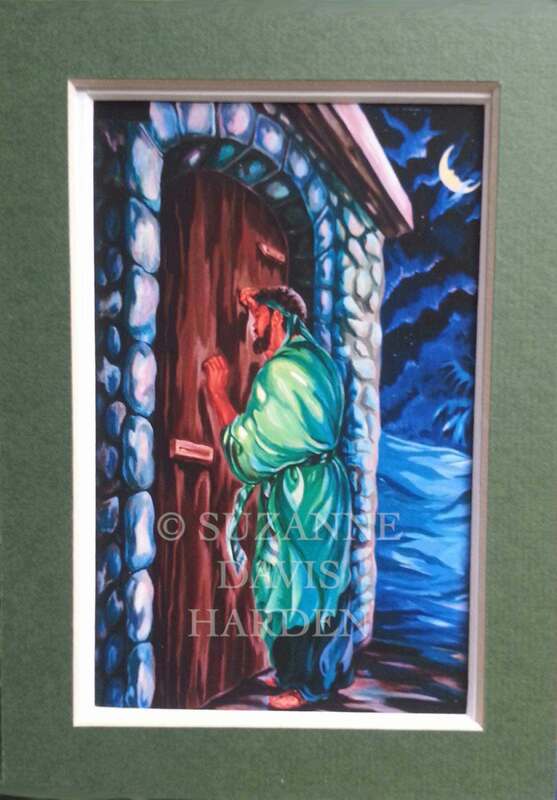 “Ask, Seek, Knock” (Prayer Song) © 2015 Suzanne Davis Harden All Rights Reserved. 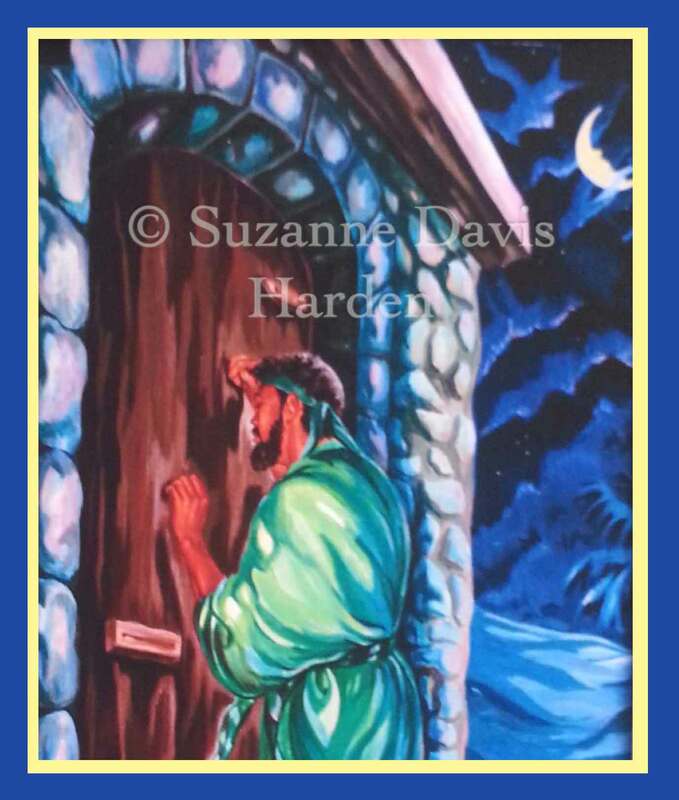 Detail “Persevering Prayer” Acrylic Painting~ © Suzanne Davis Harden All Rights Reserved. Scripture Quotations: King James Version Bible, NIV Bible © 2011 All Rights Reserved. God’s Word Bible, (GW) © 1995 All Rights Reserved. 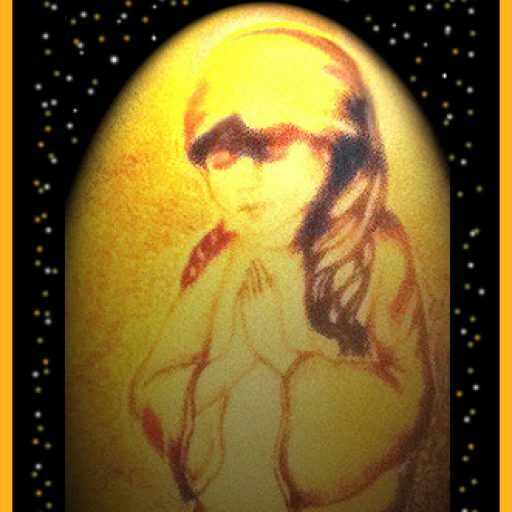 Angel Song © 2015 Suzanne Davis Harden All Rights Reserved. 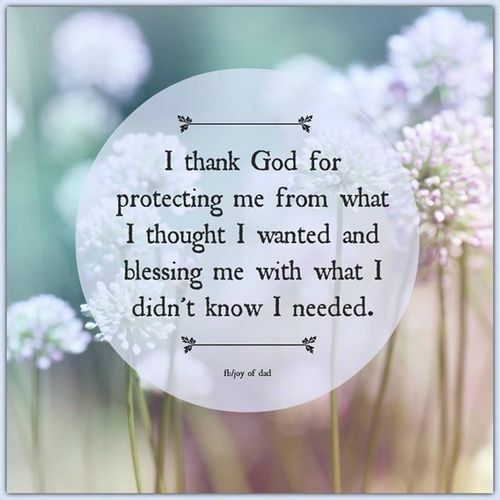 First of all, I want thank God for your life and the awesome work He is doing through you on the Angel Song blog! Thank for the wonderful invitation, Tim! I’d be honored to join your community! Just send me the details. We shall be waiting for you!